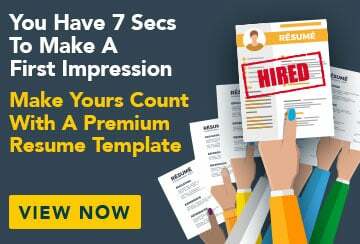 This free sample cover letter for a civil–structural engineer has an accompanying civil–structural engineer sample resume and civil–structural engineer sample job ad to help you put together a winning job application. Please accept my application for the role of Civil/Structural Engineer as advertised on seek.com on 25 November. I am a self-motivated Civil/Structural Engineer with a Bachelor of Civil Engineering (Hons) and six years experience in design and estimation teams on a range of projects. In 2007 I achieved Chartered Professional Engineer status from Engineers Australia. I am seeking to develop my skills in my next challenge and am very interested in joining the engineering team at Asterix Construction. Working as a civil/structural engineer at Robertson Construction I have worked on many projects, including: the Mileville sewer, the Walker motorway, several apartment complexes, Travalltown iron mine and Greenfields copper mine. My skills in modelling and designing projects using AutoCAD, 12D and Space Gass, and my focus on getting a job done well and on time, have resulted in all projects being completed successfully and with very positive feedback from managers and clients. I have a thorough knowledge of the processes of construction in ground engineering projects and mining and also excellent interpersonal and communication skills. My organisational and multitasking abilities are advanced. Please let me know if you would like more information about my projects. I look forward to discussing my suitability for this role in person. This free sample cover letter for a civil/structural engineer has an accompanying civil structural engineer sample resume to help you put together a winning job application.